The list of 50-goal scorers at South Williamsport for girls soccer is an impressive “who’s who” if you glance down it. Some great players such as Christa Matlack, Lyndy LeVan, Autumn Rosenberg and Kate Baldys to name a handful. Go ahead and pencil in a new name to that list: Lela Warner. The senior Mountie is the latest South Williamsport player to add her name to the 50-goal banner, becoming the eighth Mountie to hit the milestone. Warner recorded a hat trick in an 11-1 rout of Muncy on Saturday afternoon and in the process recorded her 50th career goal. Warner set the freshman scoring record three years ago, breaking Matlack’s record, and is now in some really good company in the all-time scoring ranks. With only four games in the books for South this season, Warner will likely continue to move up the list. She’s only two behind Tanya Maslar (52) and six behind Baldys (56) for seventh and sixth all-time, respectively. Warner’s 50-goal milestone is an early highlight this season for a South Williamsport team that is off to an extremely impressive start at 4-0 and clicking it seems in all facets. Offensively, the Mounties are spreading the ball around well and having numerous players such as Bella Green, Warner, Haley Neidig, Lexie Yerger and others step up and find the goal, as South Williamsport has an area-high 21 goals through only four games. Defensively, Alyssa Johnson has played well in goal for the Mounties and having a goalie that you have confidence in is definitely beneficial. You couldn’t have asked for a better start to the area soccer season than what we got so far. If it’s any indication to some games we’ll be seeing down the stretch, we’re in for a treat. 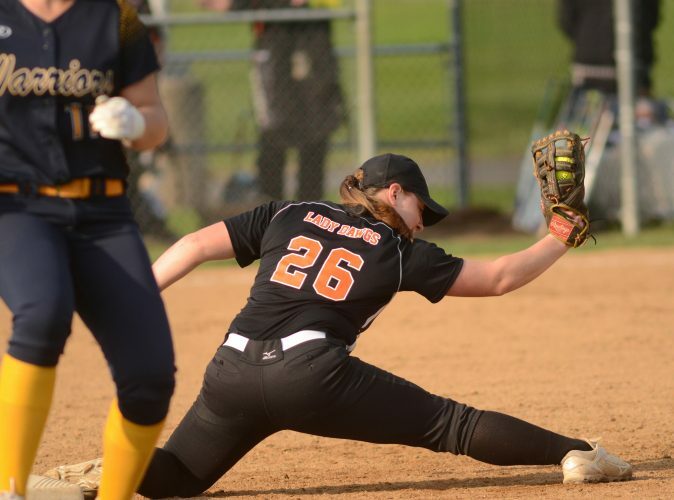 In the area’s opening weekend, the annual Burke Tournament at Montoursville was capped with a thriller between Montoursville and South Williamsport in which the Mounties came away with a 3-2 victory. South Williamsport opened that tournament with a strong win over Holy Redeemer, a team which is coming off a 13-win season. Just two days later, Loyalsock and Williamsport battled to a game that was won with 15 seconds remaining when Anna Burdett drilled a great high shot just past Williamsport keeper Lila Vogelsong’s hands to sneak in for the game-winner. I figured that would be a great game, and it didn’t let down anyone in attendance at the Balls Mills Soccer Club that night. The next day, after falling behind by two goals, Hughesville responded with two unanswered goals against Loyalsock to tie the game and force overtime in which the Lancers won. These are the great types of games you love to see. And we’re just a little over a week into the schedule. Before the season started, Jersey Shore first-year girls soccer coach Darrin Bischof admitted that he knew it would be a bit of an uphill battle for the Bulldogs in terms of turning the program around in the right direction and getting more wins on the board and vying for a district berth. Jersey Shore took a great step in the right direction to open the year. The Bulldogs hosted perennial district power Warrior Run and came away with a huge 1-0 win in which keeper Hannah Kauffman recorded 15 saves against the Defenders. Yes, Warrior Run has a new coach after Jen Allen stepped down this summer. And yes, Warrior Run is struggling a bit offensively this year and has yet to win, but that doesn’t matter. Warrior Run is still a solid program and one you don’t overlook on the schedule. Hughesville is another team that’s off to a good start. The Spartans started the year 3-1 and had a huge game against Loyalsock. The Lancers, as noted above, went ahead 2-0 in the first half but give credit to Hughesville for responding with two huge goals to tie the game and force overtime against a tough Loyalsock team. The Spartans may have lost that game, but it shows that the girls have the right attitude and mindset not to be intimidated on the field. One area team that has somewhat flown under the radar the past few seasons by steadily getting better is Muncy. Rewind to 2015 and Muncy was a three-win team. The next season, the Indians posted eight wins and managed to sneak into the playoffs to play a play-in game. Last year, Muncy won 11 games and gave Warrior Run a great game in the postseason. Credit former coach Kyle Bowen for helping get the Indians back to being playoff contenders, and there’s no doubt that first-year Mark Pysher is hoping to continue to keep Muncy district-bound. Jon Gerardi covers girls soccer for the Sun-Gazette. He can be reached at 570-326-1551 (x 3127) or by email at jgerardi@sungazette.com. Follow him on Twitter @JonGerardi. The Mounties are playing excellent to start the year. South Williamsport started the Burke Tournament with a 4-2 win over Holy Redeemer, a team coming off a 13-win season, and then came away with a tough 3-2 victory over perennial district contender Montoursville in the championship. The Mounties outscored their last two opponents 14-2 by beating Mount Carmel and Muncy. The Mounties were scheduled to play Loyalsock on Monday in what would have been a truly great game, but unfortunately Mother Nature had other plans. The Lancers opened the season with Williamsport and put on a great game for those in attendance as Anna Burdett drilled a high game-winner with only 15 seconds left for a 1-0 win. Loyalsock then went on to defeat Hughesville in overtime, 3-2, and blanked rival Warrior Run, 2-0, on Saturday night. Burdett had the game winner against Williamsport and Juliana Cruz drilled a game winner against Hughesville in overtime. Montoursville lost in the Burke Tournament championship this year. The Warriors routed Muncy, 10-0, in the tournament opener before losing a close, tough game with South Williamsport, 3-2. 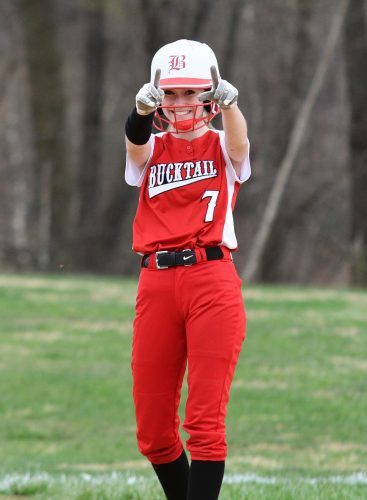 Lily Saul has shown early on she could be a offensive threat for the Warriors. She recorded a hat trick against Muncy, scored a goal versus South Williamsport and had two goals, including the game winner in overtime, in a 2-1 contest with Milton. The Millionaires opened the year with an 8-0 rout of Central Mountain before Loyalsock defeated Williamsport in heartbreaking fashion with a 1-0 win in the final 15 seconds. Williamsport didn’t dwell on that tough loss, however, and came out with a 2-1 win over Selinsgrove a few days later. Lila Vogelsong played excellent in that win over the Seals, constantly coming up with nice stops in a downpour, including two enormous blocks in a few seconds with 4 minutes to play to prevent a game-tying goal. The Green Dragons are off to a good start. Lewisburg earned wins against Warrior Run and Berwick, tied Shamokin and lost to Central Columbia and Danville. Coach Jose Vega has to be happy with how the Green Dragons’ offense is spreading the ball around early on as five players have a goal or assist so far. And in goal, Lauren Gross has posted two shutouts so far, tied with Mari Houseknecht of Loyalsock for the most in the area. Not a bad week for Warner to open her senior year. Warner in four games scored four goals and tallied six assists. She had two assists in a win over Holy Redeemer and added another two in South’s win against Montoursville in the final of the Burke Tournament. Warner had a hand in 10 of South’s 21 goals and we’re only four games into the season.